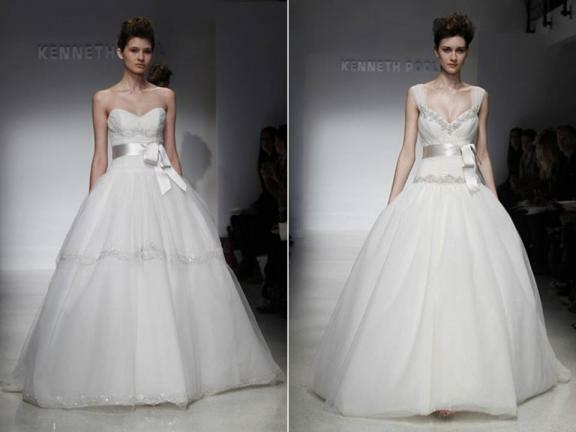 Ok ladies, those of you who dream of the perfect wedding gown should be excited because 2012 is going to bring you a lot of options! We are willing to bet you will bring a tear to your mom's eyes when she sees her little girl all grown up, looking like a princess in one of these ball gowns. 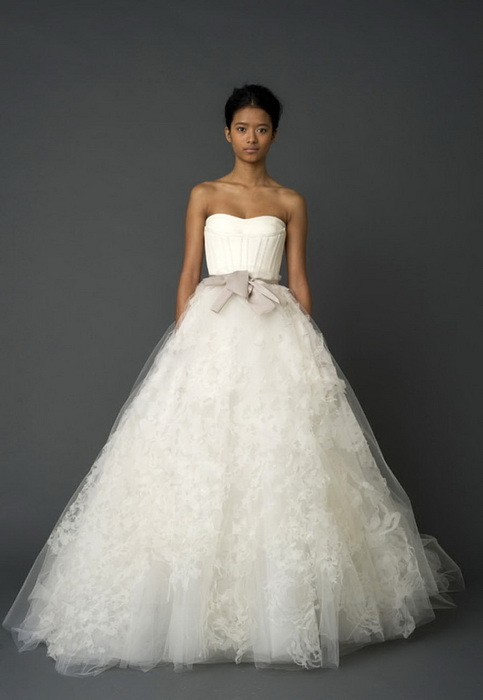 Ball Gowns and dramatic A-Lines have made quite the comeback, and have been featured in many of the most popular designer's collections such as Vera Wang, Ines Di Santo, Lazaro, Marchesa and so many more. 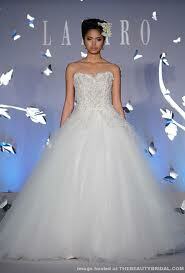 Also, if you are not afraid to break the mold, you will love the idea of not wearing white on your big day. 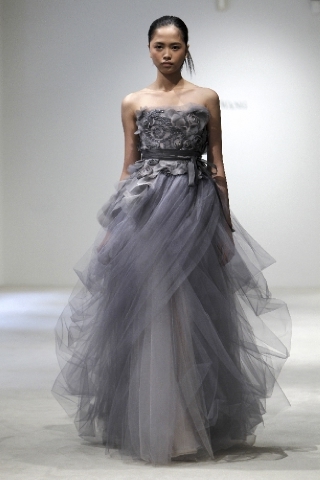 Gowns have graced the runway in gray, purple, champagne, pink & even light blue! 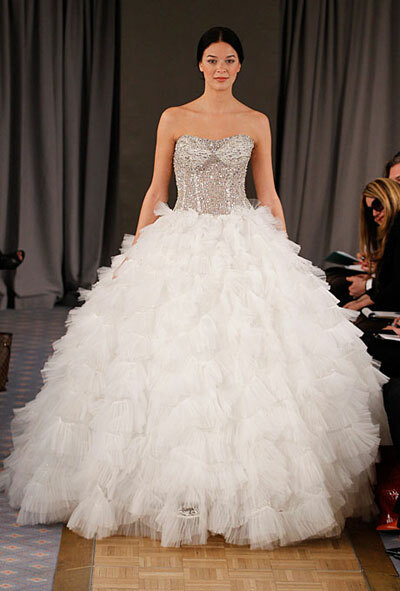 Check out some of the top designers, and their beautiful gowns! 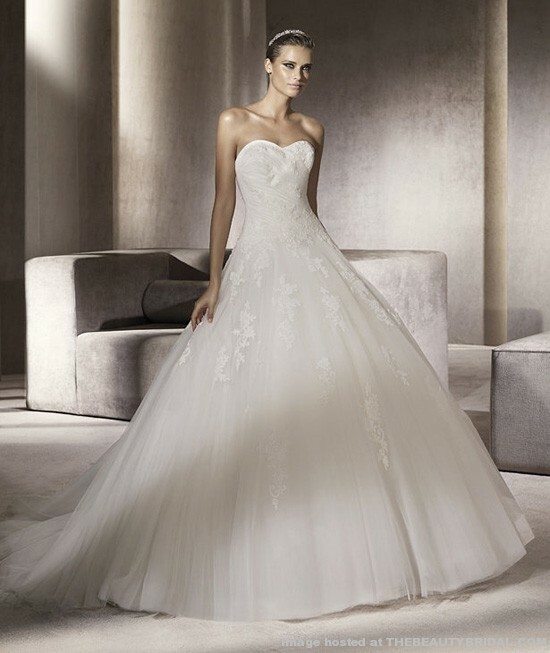 Remember, that even if your local dress boutique doesn't carry some of these names, it is helpful to find styles that you like so that you know what you are looking for when you go dress shopping. Don't forget to check out our Vendor Directory for your local dress shops!